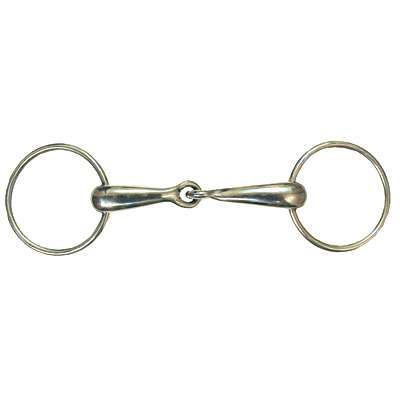 The hollow mouth spreads out the pressure in the horses mouth while the loose ring style, which allows the mouthpiece to move on the ring may serve to relax parts of the horses mouth as the rings and mouthpiece create a snapping action. 2.5'' rings. 15mm mouth.